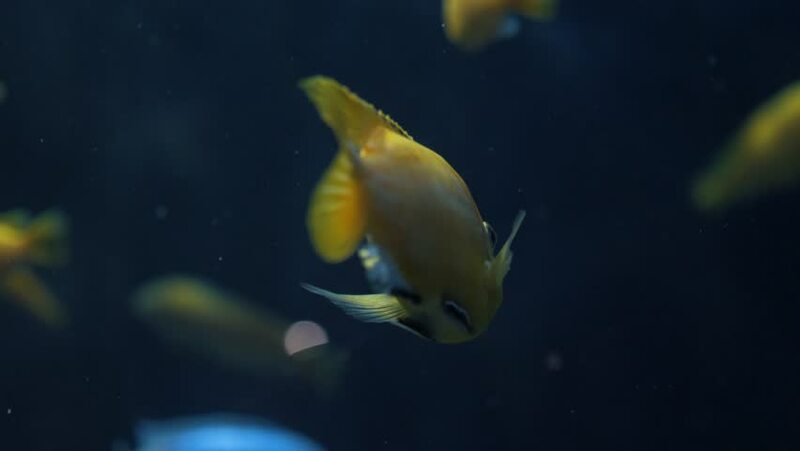 Yellow tropical fish swim in a large aquarium. 4k00:11Close up beautiful fish in the aquarium on decoration of aquatic plants background. 4k00:16Close up beautiful fish in the aquarium on decoration of aquatic plants background. 4k00:12Crowd of Minnow fish swimming underwater.